Fishburn church member Vivienne Anderson was among the 27 Christians confirmed by the Bishop of Jarrow, the Right Revd. Mark Bryant, in a special service at St Clare’s, Newton Aycliffe, at the weekend. The ceremony marked a milestone in Vivienne’s life. “Being confirmed is something I always intended to do but which circumstances prevented until now,” she said this week. Vivienne, who comes from a long line of nurses, was born in Sedgefield but spent her early years living in the grounds of the former Winterton Hospital where she was christened and attended church. She is now a Regional Business Manager for a private health company covering the North East, Yorkshire and Cumbria and has been a regular worshipper at St Catherine’s for the past 18 months. “I feel blessed and especially thankful to be part of the congregation at St Catherine’s. The support of the people there has been amazing,” Vivienne added. As well as her church membership, Vivienne is an active volunteer within the community at Fishburn where she now lives. She has been a member of Fishburn Parish Council for many years and has recently been nominated to serve as a Local Authority Governor for Fishburn Primary School. 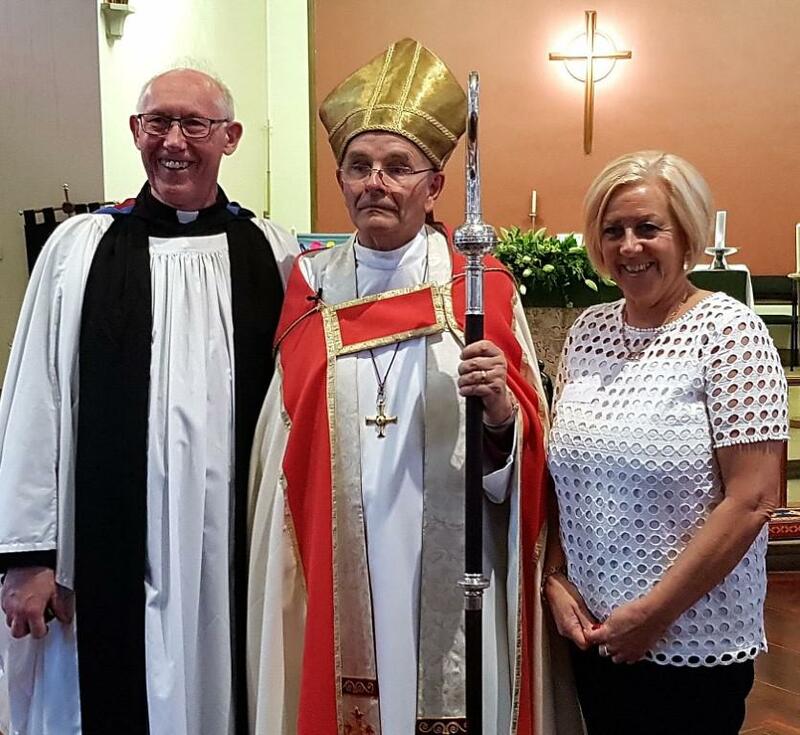 Vivienne is pictured above with the Bishop of Jarrow (centre) and the Revd. Michael Thompson, Team Vicar in the Parish of the Upper Skerne, who is to retire at the end of July.